The NYSE is the oldest stock exchange in the United States. Being listed on the largest U.S. stock trading forum, the New York Stock Exchange (NYSE), carries a high level of prestige, but getting there isn't easy. To be listed on the NYSE, a company must have substantial holdings and must give up a significant amount of internal control. Being publicly traded is a two-edged sword. 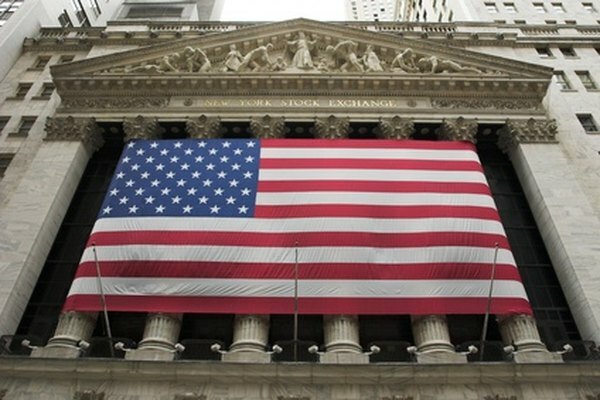 While it provides better visibility, access to more capital funding and the prestige of association with a premier stock exchange, such as the NYSE, the company also is subject to complicated regulations that don't apply to private corporations. In addition, publicly traded firms have to disclose information that private firms can keep hidden, such as declining profits or decreasing sales. This information is potentially embarrassing and also may work to competitors’ advantage. Companies that sell shares on the public market must have a board of directors to provide strategic leadership and make decisions on behalf of the shareholders. While the original owner may retain the majority of shares and may have a role in decision-making, issues such as the originating family's image and long-held company traditions must give way to the board's primary mission: increasing profitability for shareholders. Board decisions govern the overall running of the company and limit the powers exercised by the company's management team. A company cannot self-list on the NYSE, nor can it manage its own stock sales on the exchange. To be listed, a company must use the services of one or more investment bankers, who provide help and guidance in meeting Securities and Exchange Commission registration requirements and setting the value of stock in the initial public offering. More importantly, these intermediaries provide introductions to investors. An investment bank also may provide an underwriting guarantee, which mitigates risk by establishing a minimum price on the company's shares. Once a company is listed on the NYSE, all trading must be handled through a “specialist,” an intermediary who represents the company to buyers and sellers of its stock. The NYSE has the strictest listing requirements of any stock exchange. To be listed, a company must have assets of at least $18 million, income of at least $2.5 million per year and a minimum of 2,000 stockholders. Many small firms cannot meet these requirements so they initially choose to be listed on the NASDAQ and later shift to the NYSE when they become more profitable. The NYSE also is steeped in tradition, dating back to its 1792 origin. Unlike newer electronically based trading systems, the NYSE still uses a physical trading floor with 17 trading posts where brokers make deals in person. The NYSE merged with Euronext N.V in 2007 to form the holding company NYSE Euronext. Braver: Publicly Traded vs. Privately Owned Companies – Comparable?